It has been a hectic start! And Summer has not disappeared – yet! A summer finish that seemed somewhat timid has not completely let go as we currently stand – temperatures in the mid 80’s mean that there is still a bit of care required to avoid getting into late season trouble. 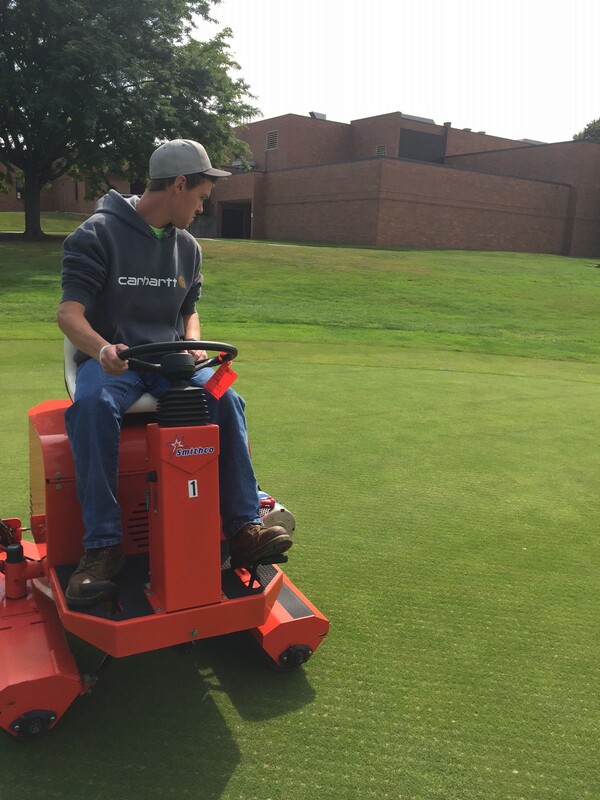 Aeration cores have been flying along with sand topdressing to help summer recovery processes – critical to many golf courses who retain quality putting surfaces through the summer seasons. Rust abounds and I would expect some issues with dollar spot to still exist, although the drying conditions may limit the severity of the issues. Insect activity and the resulting digging has not started to fire up too intensely but it should arrive at some stage soon. Leaf fall has begun for many as Maple trees start to turn color and create a mess at the same time – it is the time of year for it to happen so surprise should not be one of your expressions in regards to this. As for ATI students, they have been busy – classes have returned with somewhat higher number – a good thing though we would like more! The students have made a trip to Columbus to visit the OSU golf course facility during the Web.com event week, the Scotts Company in Marysville to see how fertilizer is made and also to the Ohio Turfgrass Foundation Research Field day – where they got to see the latest research at from the OSU Turf program. 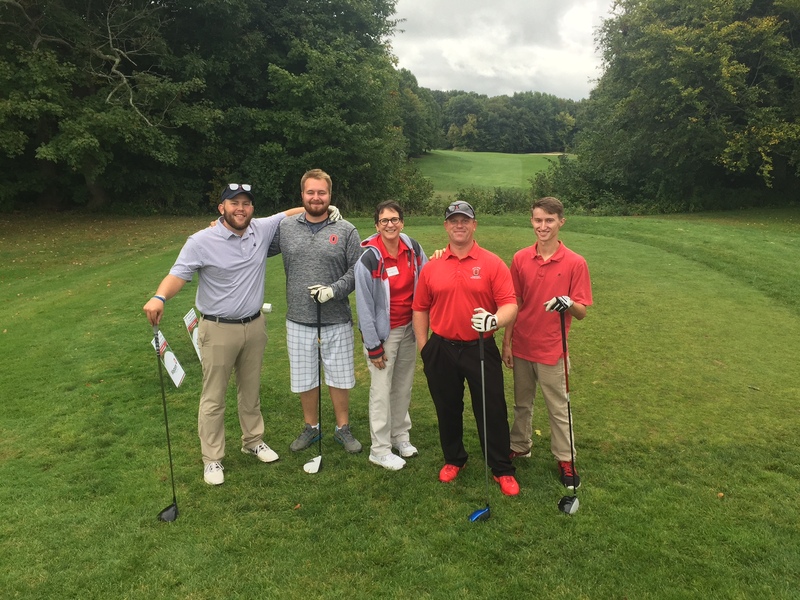 Following that the students were involved in the Turfgrass Scholarship Fundraiser on September 14th where they carried bags, interacted with alumni who came from all over, and some even managed to get some golf in. The students used the research green as a stop for the longest putt competition which was won by current OTF president Jason Straka who dropped a 40ft bomb with his first putt! The event raised over $17,500 for scholarships and we will look to build on that for next year – we are very grateful for everyones support both on the day and in the run up to the event. 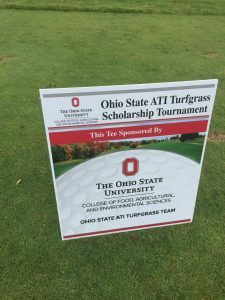 The turf club has elected a new board of officers and students are preparing for trips to both OTF and GIS where they will man the OSU ATI Turfgrass Booth and meet our ever expanding alumni network. Finally Dr. Raudenbush and Dr. Nangle combined to purchase a greens roller for the students to practice on the putting green and make sure they know the intricacies of using such a piece of equipment – no one has crashed it yet! As always if there are questions or queries dont hesitate to contact us! Enjoy the fall – whenever it arrives – Go Bucks!